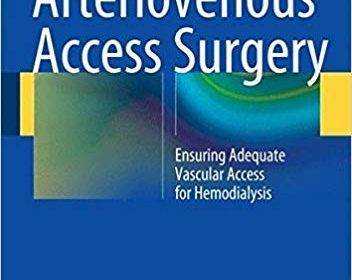 This book presents a comprehensive and state-of the-art approach to vascular disease for the geriatric patient, focusing on vascular pathology and interventions but also on perioperative care, anesthetic care, functional outcomes and quality of life, as well as ethical considerations that impact decision making. 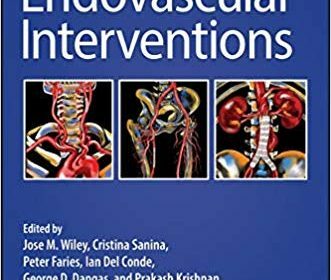 The book addresses open and endovascular interventions in different vascular beds, as well as preoperative workup and optimization, anesthetic considerations, all aspects and expectations of the postoperative care and recovery and is the only book to include specialize in the intricacies of the care of the geriatric patients, the challenging recovery and neurocognitive changes, and ethical considerations for the end stage geriatric patient or in the setting of postoperative complications. 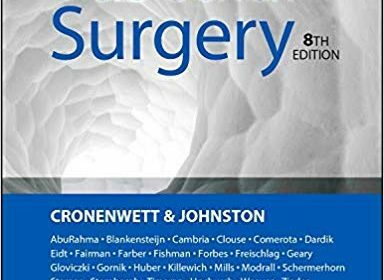 Written by experts in the field, each section addresses patient selection, pre-operative considerations, technical conduct of the most common operations with open or endovascular options, and avoiding complications. A brief review of the existing literature addressing the particular topic follows in each section. 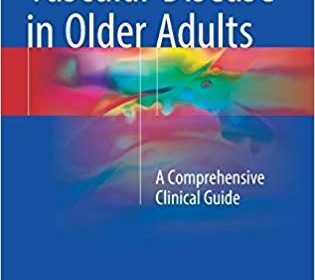 With its concise yet comprehensive summary of the field, Vascular Disease in Older Adults is the ultimate resource for geriatricians, cardiologists, surgeons, anesthesiologists, and all physicians of who care for the aging patient with vascular disease. Vascular management and care has become a truly multidisciplinary enterprise as the number of specialists involved in the treatment of patients with vascular diseases has steadily increased. While in the past, treatments were delivered by individual specialists, in the twenty-first century a team approach is without doubt the most effective strategy. In order to promote professional excellence in this dynamic and rapidly evolving field, a shared knowledge base and interdisciplinary standards need to be established. 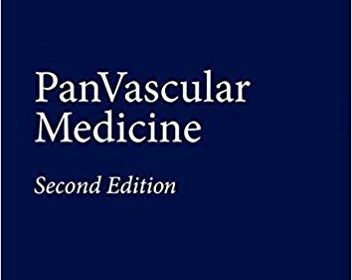 Pan Vascular Medicine, 2nd edition has been designed to offer such an interdisciplinary platform, providing vascular specialists with state-of-the art descriptive and procedural knowledge. Basic science, diagnostics, and therapy are all comprehensively covered. In a series of succinct, clearly written chapters, renowned specialists introduce and comment on the current international guidelines and present up-to-date reviews of all aspects of vascular care. The critically acclaimed Vascular Diagnosis of Ultrasound returns in a new two-volume second edition, offering the most comprehensive information available on the broad spectrum of vascular ultrasound applications. 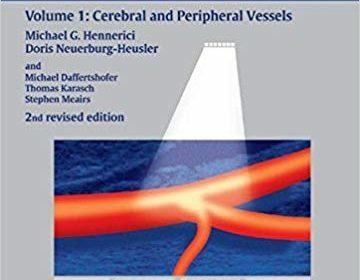 Volume 1:Cerebral and Peripheral Vessels retains the accessible design and structure of the first edition to discuss the available ultrasound technologies, including continuous and pulsed-wave Doppler mode, b-mode, and conventional and color-coded duplex analysis in frequency and amplitude power modes. This text covers anatomy, physiology, normal and abnormal findings, test accuracy and sensitivity, providing the reader with the information essential to managing common clinical situations. more than 500 line drawings and images, this text is an indispensable reference for radiologists, vascular surgeons, and residents and students in these specialties. 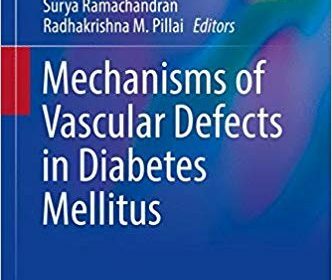 This book intends to bring together, a panel of renowned experts in the field of vascular biology and diabetology, to integrate the current understanding of the pathogenesis and pathophysiology of vascular diseases in diabetes mellitus. This attempt is significant given the increasing interest in this area as the prevalence of vascular diseases continues to escalate globally. Patients with diabetes are at a higher risk of structural and functional changes in all vessel walls of the human body. Vascular complications of diabetes are leading causes for both morbidity and mortality. In recent years, several articles have focused on advancing our knowledge on the profound effect of hyperglycemia and insulin resistance on building up vascular wall inflammation leading to endothelial dysfunction in patients with diabetes mellitus Other reports have elaborated on the various disorders, hyperglycemia can lead to, their therapies, adverse effects and complications. There are also studies that highlight the role of factors that induce vascular wall alterations in hyperglycemia. In this book, we attempt to discuss vascular disease progression in diabetes with a unique approach. We attempt to provide a complete perspective of the pathophysiology of vascular complications and then dissect each of the factors that play a key role in accelerating vascular wall alterations in diabetes. Each of these factors has been adversely implicated in the initiation and progression of disease to a large extent. In this collection for the first time all these factors would be described under a common canopy. Further, the text would emphasize on pathogenesis of micro vascular complications of diabetes, such as retinopathy, neuropathy and nephropathy. Pharmacological therapies for treating vascular dysfunction in diabetes mellitus would also be reviewed. This compendium hopefully would be an invaluable replacement to scores of literature on diabetic vascular disease and would be of great interest to clinicians, academicians, medical students and researchers. The book will be divided into seven sections, each emphasizing a common incentive to development of vascular disease in diabetes. Section I deals with pathophysiology of diabetic vascular disease, beginning with an update on the global burden of diabetes mellitus and its vascular complications. The pathophysiology and pathogenesis of diabetes associated macrovasculopathy, how hyperglycemia functions as an atherogenic factor, effects of hyperglycemia on smooth muscle accumulation in vascular lesions and genetic susceptibility for increased risk of vascular disease in diabetes will be discussed in the following chapters of this section. The next section (Section II) surveys the process of endothelial dysfunction under hyperglycaemia and hyperinsulinemia and their effects on angiogenesis, vascular remodeling and wound healing. A chapter is also dedicated to the endothelial progenitor cell population and its dysfunction during development of vascular complications in diabetes. Section III will highlight the molecular mechanisms underlying endothelial dysfunction, various pathways such as nitric oxide synthase pathway, oxidative stress pathway, renin – angiotensin system and increased vascular superoxide production in the initiation and progression of vascular disease in diabetes. This section also covers role of endothelin, monocyte derived cytokines, peroxynitrate and adipokines in macrovascular complications of diabetes. Metabolic factors such as advanced glycation end products, atherogenic dyslipoproteinaemia, and homocysteine will be reviewed in Section IV, whereas an overview of the hemostatic factors such as platelet dysfunction, hyperglycaemia induced thrombin formation and aberrant clot lysis will be dwelled upon in Section V.
Section VI includes chapters on microvascular complications of diabetes which encompasses long term complications of diabetes affecting small blood vessels of the eye, kidneys and nervous system. The pathogenesis and mechanisms of these complications would be detailed here. The final section (Section VII) of the book will consider mechanism of action of drugs for treating endothelial dysfunction in diabetes mellitus which would elaborate on lipid regulating therapies such as statins, as well as other therapies such as ACE inhibitors, Angiotensin II receptors, insulin, metformin and their effects on enhancing vascular function in diabetes. We intend to invite authors who symbolize a multidisciplinary approach to this complicated disease. The proposed authors include clinicians who understand the trend of vascular complications in their long term clientele, epidemiologists with a holistic view, basic and experimental researchers with years of experience in dissecting the factors leading to endothelial dysfunction and clinical researchers with the skill of translating bench work to the bedside. We expect this book will be of significant value and interest to the same group of clinicians, researchers, post doctoral fellows and medical and non medical graduate students. The novel assimilated insights could stimulate development of mechanism based prevention and therapeutic strategies providing a promising option to limit cardiovascular complications in diabetes mellitus. This is the first full-color book written as a clinical vascular sonography text for the laboratory portion of a sonography and vascular sonography program or for practicing sonographers. 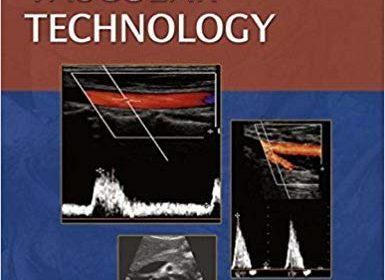 Practical Vascular Technology is an image and feature-rich textbook and reference clearly illustrating the procedures and principles associated with applied vascular sonography. Each chapter includes thoroughly illustrated sections on patient and equipment preparation, the testing sequence, typical results of the test, and interpretation of test results. A companion website includes clinical case studies and a student quiz bank. This is a proceeding book of 8th European-Japanese Cerebrovascular Congress (held in Zurich in 2016). 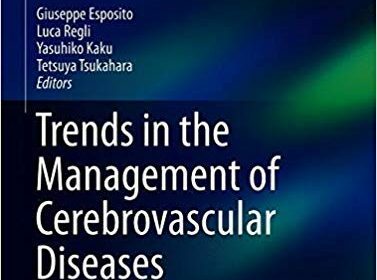 Since many experts from Europe and Japan had very important and fruitful discussion on the management of cerebrovascular diseases, the proceeding book will be very attractive for the physicians and scientists of the area. 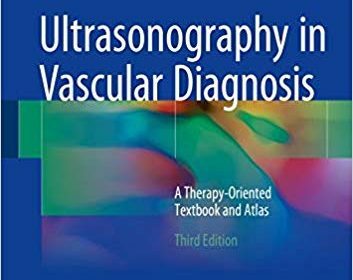 This book, now in its revised and updated third edition, is designed to meet the needs of both novice and experienced sonographers by offering a superbly illustrated, wide-ranging account of the use of ultrasonography in the diagnosis of vascular diseases. Each of the main chapters is subdivided into text and atlas sections. The text part documents the relevant ultrasound anatomy, explains the examination procedure, specifies the indications for diagnostic ultrasound, describes normal and pathological findings, and considers the clinical impact of the examination. The atlas part presents a rich compilation of case material illustrating the typical ultrasound findings for both common vascular diseases and rarer conditions that are nevertheless significant for the vascular surgeon and angiologist. The new edition places special emphasis on the role of hemodynamics in clinical symptomatology, and the use of spectral analysis techniques is fully explained. Particular attention is also drawn to the sources of potential discrepancies between investigative methods, including different ultrasound studies, the role of contrast-enhanced studies, and the therapeutic consequences of pathological findings. Helpful algorithms are included to illustrate how targeted ultrasound diagnosis often permits therapeutic planning without the need for further imaging techniques.